The IQAir HealthPro Compact Compact Room Air Purifier System is a home air purifier which removes and reduces dust, dirt, pet dander, pollen, mold spores, dust mites, fabric fibers, allergens, and other common allergens, impurities, and contaminants in your air. The IQAir HealthPro Compact Air Purifier comes equipped with two high quality IQAir HEPA filters - the IQAir HealthPro HEPA Pre-Filter along with theIQAir HealthPro HyperHEPA Air Filter. Both filters provide maximum filtration of the air in your home and much relief for indoor allergy sufferers. This IQAir compact air purification unit is ideal for apartments, offices, bedrooms, dens, nurseries, and other smaller areas where standard size IQAir purifiers are not needed. 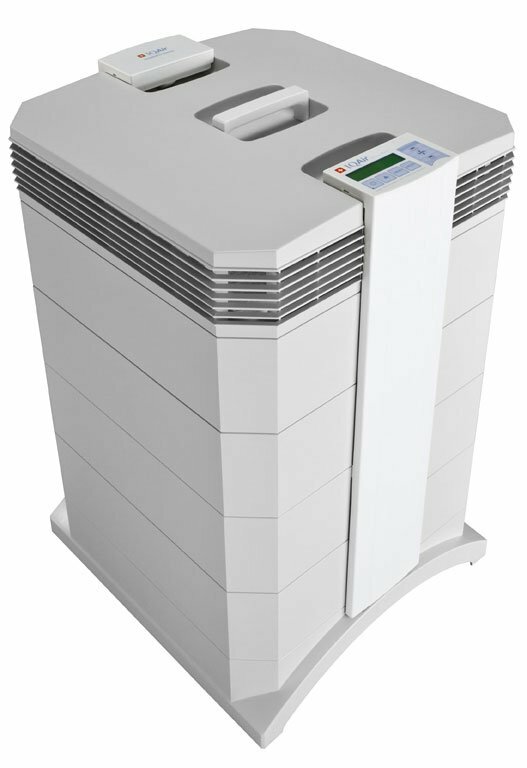 The IQAir HealthPro Compact Room Air Purifier captures 99.97% of microscopic particles, contaminants, and pollutants down to the very fine 0.003 micron level. The IQAir Compact air purifier weighs only 25 pounds for easy mobility.